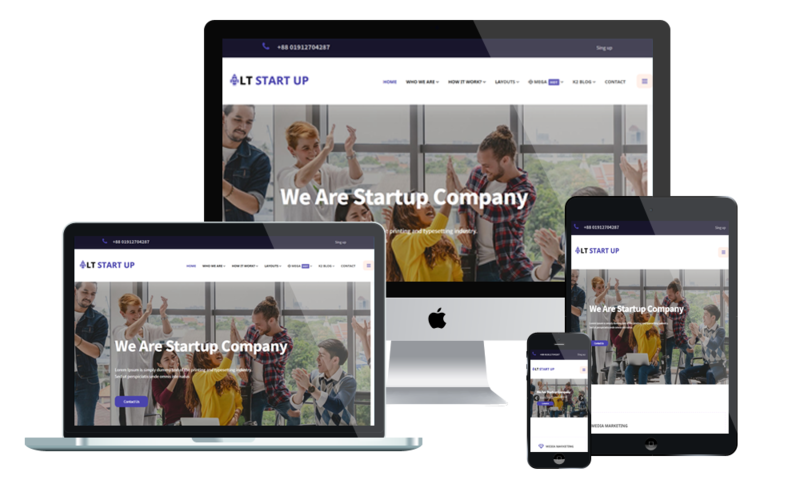 LT Start Up is premium template tailored for business websites. This template uses for small business website, financial consulting website or forex trading company. LT Start Up builds on powerful framework with 100% responsive layout (support for mobile devices) based on bootstrap, unlimited module position, strong shortcodes help you present content and it comes with 4 color styles build-in HTML5 and CSS3, but in fact it is really customizable, has drag-drop tools and color settings helping to create unique websites with various layouts. If you're a new business you only get one chance to make an impression. The template all does the job brilliantly.